Oh! I also thought if you took the time to answer these questions – Why not turn it into a blog post for yourself? Take the answers line them up with the questions and BAM you got yourself a blog post. This way you also can get your readers to know more about you too. P.S. If you are interested in being a guest for the XPN Podcast please drop a line! The way it works is every week readers submit their answers to the questions in the comments section along with a question they would like to see next week. You can choose to answer as many of the questions you’d like. I understand sometimes a question can be sensitive in nature and one wouldn’t want to answer it. Commentators are also encouraged to share their blog so readers can find out more about them. Thank you for supporting this project and I hope you enjoy reading and taking part! Josh chimes in with: What is your spirit animal? Heres the link to the quiz I took if you are interested in taking it yourself. Thanks again for the question Josh! Welcome Carlene to the Q&A and thanks for chiming in! Carlene asks: What are you grateful for? Haha, in short everything. Let’s see I’ll focus on blogging. I’m grateful for the readers that visit the blog, for the interaction between other bloggers. This hobby has brought me great joy in life and continues to open many doors for me. Before the blog If you asked me if I would ever think of trying to write a comic strip or create a podcast. The answer would have been something along the lines of……What me? No way, Why? ( Yes, I always ask why outside of the blog 😉 ) So Yeah I’m grateful for the XP gained by blogging. Thanks for the question Carlene! You brought some good vibes in to start off my day! Check out Carlene’s latest blog post, a commentary and reflection on the uncertain times we face with the landfall of Hurricane Irma & Harvey. What is your go-to dish? Your one meal you whip up because it’s easy or your favorite. Heres a recipe if you’re interested. It’s quick easy and tasty. My kind of meal. 4 to 5 pounds chicken thighs. Any sweet BBQ sauce I’d say about 1/4 of a cup. I dunno I just eyeballed it. What you want to do is lightly brown the chicken first with garlic, pepper, and sugar. Then add your vinegar, soy sauce and bbq sauce. Mix and Allow to simmer until most of the liquid evaporates. Then BAM. 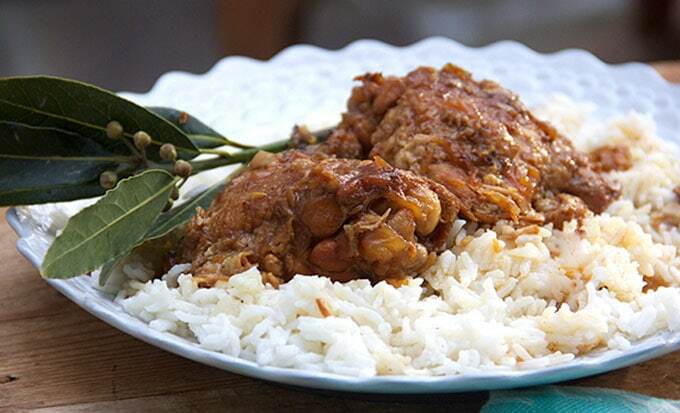 Chicken Adobo. In the realm of spirit animals, the lion wins the prize for most relentless fighter in the face of life challenges. The lion spirit animal represents courage, strength in overcoming difficulties. The presence of this power animal could also mean that something “wild” or difficult to control is happening. As such, lions symbolizes emotions that are difficult to manage, such a anger or fear. Everything happens in my life! Haha I definitely try to fight through what I can and yeah my emotions run up, down and all around like the roller coaster that is life. Couldn’t decide on my favorite element though that was a tricky one. How about you? Ohhh element, the first question of the quiz. I had to stop and think about it for a second, haha. For me I picked air as my thoughts seem to always be up in the clouds. Haha, Thanks Emz! Would you like to add a question for next week? To help keep this going? Ohh a bucket list, nice! Thanks for chiming in Emz much appreciated. No problem. 🙂 Any questions you got for me just send them my way. 🙂 Oh and what do you think of my blog so far? 🙂 I like the story behind the blog and am rooting to see you succeed. Best wishes Emz! My question is: if you could be born into any era, which would you choose? Hi adhdgifted, thanks for chiming in. I think you are doing a great thing to educate yourself about adhd and others also. People will definitely benefit as they relate to your story. Man, what a day… Good to come home to these questions. 1. I was listening to NPR a few years back and heard this comedian joking that he had become his own spirit animal, and I always liked that, even if it was a joke. However, as time goes on and I continue to venture out solo on most of my endeavors I think that I have, in fact, become my own spirit animal. But sticking with animals I’d have to go with a cat. I think their too and fro nature, take or leave it attitude, and rolling solo really represents me. I’m the lone cat! 2. The gratitude question is important for me to ask myself today, especially following a string of rough days. Today I’m grateful for the people closest to me for loving me when I can’t love me, and I’m also grateful for my efficacy. 3. I should have some amazing input on this being that I was an Executive Chef for a few years, but I’d have to say that my go to these days is the classic PB&J. I can keep a loaf of bread, peanut butter, and jelly in my car and go through them long before I need refrigeration. It’s quick, it’s easy, and it offers good calories and protein when I need quick energy, which is usually the case in my life because I always seem to be on the go. Next Week: When you’re down, like really low and depressed, what do you do to get out of that funk? Hahaha Josh you got me sold on the PBJ sandwich. As always thanks much for your input. I have really missed answering these questions so I’m glad my life finally took a paid at the right time and I saw them. I have always thought of an eagle as my spirit animal. I like to observe and analyze a situation before diving in much the way an eagle soars around before diving in on the hunt. What am I grateful for? Well let’s see I write this blog where everyday I write about what I am grateful for so I will say I am grateful for that. It has been a great blessing in my life to spend time everyday to acknowledge the blessings in my life. Sometimes it is harder than others but it is always worth it. Pasta is my go to lazy dish. Boil it up and pour some sauce on and you are good to go. I am almost afraid to put a question in since I have missed a few weeks but I will go with one I recently heard that took an unexpected turn. If you could spend an hour on a park bench with anyone who would it be? Hey David! Missed ya pal. I’m working on our conversation and will post Monday morning! And yes of course an eagle makes sense for a pilot! Whoops! Sorry David couldnt hold upset my bargain, I’m on a trip out of the country to get married in NAM. As I write this I’m in the Narita airport in Japan ;). Maybe I’ll find time to work on it there haha. Hope all is well! No worries. I know how life is.